This is awesome, nice find! 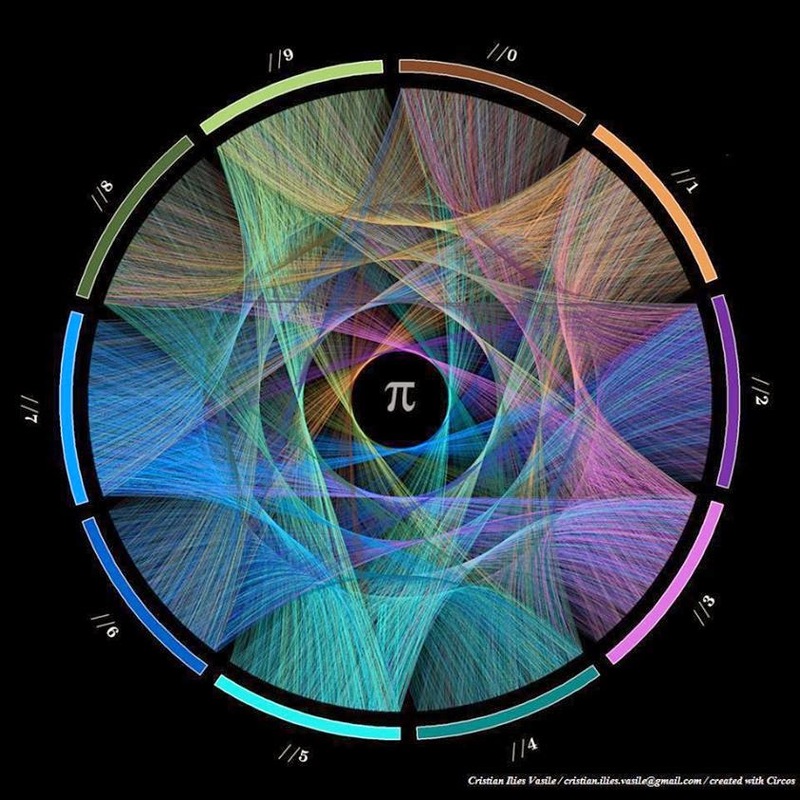 An illustration of why mathematics is called the beautiful science. Here are the first 400 digits read by Wil Wheaton in the book Hoeland, by Cory Doctorow. Speaking as a Brit, you should have waited one day to post it on 22/7. Pi is a mathematically beautiful and mysterious concept, but this spirograph does not show it. If you plotted the first 1000 digits of my cat's weight, I'm sure you'd get virtually the same pattern.